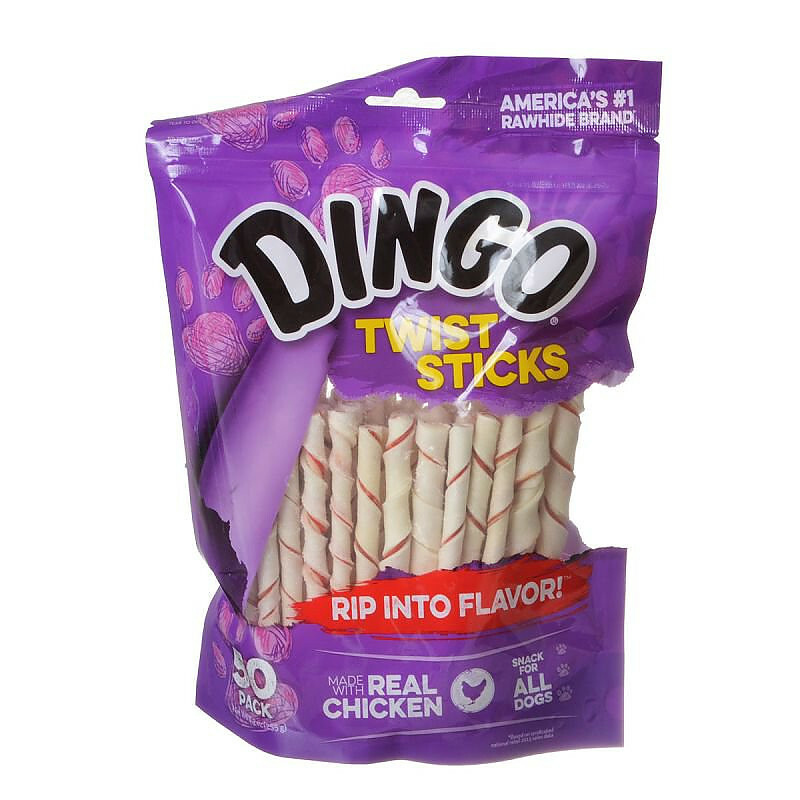 Dingo Rawhide Twist Sticks with Real Chicken combine premium rawhide and real chicken in a fun shape to create the perfect treat for large dogs. Now made with NO ingredients sourced from China, you can enjoy feeding them just as much as your dog does chewing them! Not only does chewing Twist Sticks help relieve your dog's desire to chew, it also helps remove plaque and tartar buildup to help keep his teeth nice and clean. Ingredients: Porkhide, Chicken, Sorbitol, Sugar, Salt, Potassium Sorbate (Preservative), FD&C Red 40. My furbabies absolutely LOVE these. They are considered small for my babies, American Cocker and Havanese, but they are the perfect size for a supervised treat.